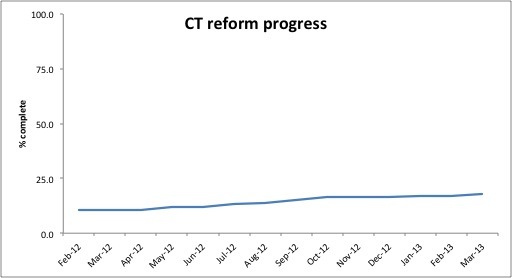 CT policymakers have completed 17.7% of the tasks necessary for health reform; most are due on Jan.1st of next year. Medicaid, patient-centered medical homes and payment reform and quality improvement are leading reform according to March’s Health Reform Dashboard. 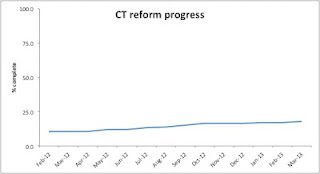 CT still has problems with the CT Health Insurance Exchange (now access health CT), health information technology, and insurance market reforms.